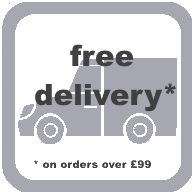 Free delivery on all orders over £99. Orders under £99 will incur a packaging and delivery charge of £7 to all UK Mainland addresses. Our normal delivery charges extend to Northern Ireland, the Scottish Highlands, Scottish Isles, Isle of Man, Isle of Wight, Channel Islands, Scilly Isles and the Republic of Ireland. Overseas orders should contact us for a delivery quotation prior to placing the order. Deliveries cannot be made to PO box numbers. Stock items will be delivered within 3-5 working days. Made-to-measure HAND DRAWN & CORDED straight tracks will be delivered within 5-7 working days. Made-to-measure ELECTRIC straight tracks will be delivered within 7-10 working days. Made-to-measure bent tracks will be delivered within 10-14 working days. Whilst every effort is made to keep to the above delivery times, addresses in Northern Ireland, the Scottish Highlands, Scottish Isles, Isle of Man, Isle of Wight, Channel Islands and Scilly Isles may be extended. We will do our utmost to keep you informed should this be the case. Please allow an additional 3 working days for deliveries to Republic of Ireland. Our deliveries will take place on working days (excluding bank holidays) between 9am and 5pm. Occasionally an item may be out of stock or have an extended lead time, we shall inform you by email in this instance. All deliveries with an order value of over £75 will be carried out by Tuffnells. Once your goods have been despatched you will receive an email providing a tracking number, this will enable you to track your delivery via Tuffnells website. Your order should be delivered on a next working day service, addresses in Northern Ireland, the Scottish Highlands, Scottish Isles, Isle of Man, Isle of Wight, Channel Islands and Scilly Isles may take longer to be received. If your goods have not been received within 2 working days of receiving the despatch email, please contact us immediately. Orders with an order value of under £75 will be delivered via Royal Mail. Tuffnells will attempt to deliver on the agreed date. Should no-one be available at your chosen delivery address the driver will try to contact you on the telephone number provided. 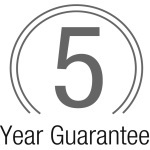 If delivery cannot be made on the agreed delivery date a card will be left and the goods returned to the local depot. Please note Tuffnells require a signature upon receipt of delivery and goods will not be left without one. Your signature indicates that the parcel has arrived in good condition and is complete. Should your parcel arrive damaged or incomplete it should not be signed for.